Intel (News - Alert) today unveiled a new portfolio of data-centric solutions consisting of 2nd-Generation Intel Xeon Scalable processors, Intel Optane DC memory and storage solutions, and software and platform technologies optimized to help its customers extract more value from their data. Intel's latest data center solutions target a wide range of use cases within cloud computing, network infrastructure and intelligent edge applications, and support high-growth workloads, including AI and 5G. 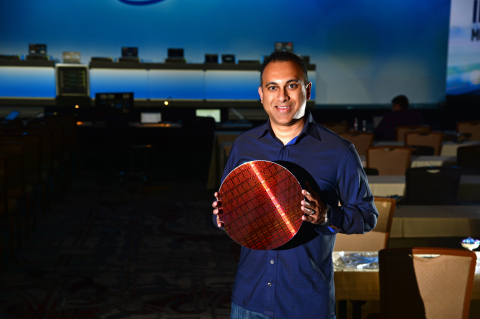 "Today's announcements reflect Intel's new data-centric strategy," said Navin Shenoy, Intel executive vice president and general manager of the Data Center Group. "The portfolio of products announced today underscores our unmatched ability to move, store and process data across the most demanding workloads from the data center to the edge. Our 2nd-Generation Xeon Scalable processor with built-in AI acceleration and support for the revolutionary Intel Optane DC persistent memory will unleash the next wave of growth for our customers." Intel's investment in a broad processor portfolio that ranges from general-purpose computing to purpose-built processors enables Intel architecture to power the industry's widest array of high-growth workload targets. The data-centric processors that Intel released today represent the most expansive portfolio of Intel Xeon procesors in the company's history with more than 50 workload-optimized processors, complemented by dozens of custom processors designed with deep engineering engagements with customers. Targeting computing at the edge, security and storage solutions, Intel unveiled the Intel Xeon D-1600 processor, a highly-integrated system-on-chip (SoC) designed for dense environments where power and space are limited, but per-core performance is essential. The next-generation SoC helps advance customers down the path to 5G and extend Intel's solutions to the intelligent edge. Intel (NASDAQ: INTC), a leader in the semiconductor industry, is shaping the data-centric future with computing and communications technology that is the foundation of the world's innovations. The company's engineering expertise is helping address the world's greatest challenges as well as helping secure, power and connect billions of devices and the infrastructure of the smart, connected world - from the cloud to the network to the edge and everything in between. Find more information about Intel at newsroom.intel.com and intel.com.